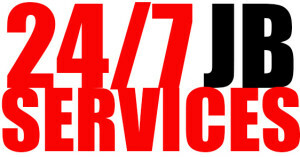 JB Services is a family owned and operated. We are a Residential Garage Door Repair Las Vegas company. We have been in the Las Vegas Valley servicing, repairing and installing garage doors since early 2013. Las Vegas, Henderson, North Las Vegas, and Clark County. We have been in the garage door repair business for over 10 years. Working for and with companies in various states. We quickly understood the only way to offer the most affordable prices is to own our company. JB Garage door repair Las Vegas is licensed and locally owned. We are a Licensed Nevada Contractor. Over Head Garage Door Company. Nevada License # 2002697-510 & Contractors License #0080600. We will answer your calls. We give honest and affordable estimate for garage door repair Las Vegas. The owner will be the one working on any garage door repair Las Vegas. Services or installations of your garage doors, springs, cables, and openers are part of garage door repair Las Vegas. The time we have been servicing garage door repair Las Vegas, we have a 5 star rating from our loyal customers. We have earned the trust and respect of our customers. We have been remaining busy with referrals from our satisfied customers. We welcome new customers as well. We are skilled in the most advanced technology for garage doors, torsion springs and openers. We cater to home owners, tenants, real estate professionals, property managers, emergency restoration, and insurance companies throughout the Las Vegas Valley. We strive to resolve any garage door repair Las Vegas problems. Installing new garage doors, broken torsion springs, cable replacement, garage door openers, remote programming, emergency garage doors repair, adjust or replace garage door tracks and safety sensors, replace weather strip, garage door tune-up, replace or fix dented panels, fix off track issues, replace rollers, install insulation to garage panels, all garage door issues. We use energy efficient garage doors and openers. We use the most advanced technology in garage door openers. Tablet, smartphone, and computer control options. The Torsion Springs we install are made in USA. The quality of springs will last you up to 10 years. We are a mobile garage door repair las vegas company. Our van is equipped with all of the tools and parts we need to repair, service and install your garage door. We travel to all of the major cities including the following zip codes within Las Vegas 89101, 89102, 89104, 89106, 89107, 89108, 89110, 89117, 89128, 89129, 89130, 89131, 89134, 89138, 89143, 89149; North Las Vegas 89030, 89031, 89032, 89081, 89084, 89085, 89086, 89087; Henderson 89002, 89011, 89012, 89014, 89015, 89044, 89052, 89074 and Clark County 89103, 89109, 89113, 89118, 89119, 89120, 89121, 89122, 89123, 89135, 89139, 89141, 89142, 89146, 89147, 89148, 89169, 89178, 89179, 89183. 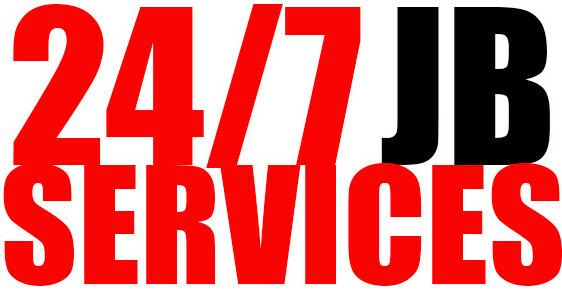 Call JB Services to book an appointment today!